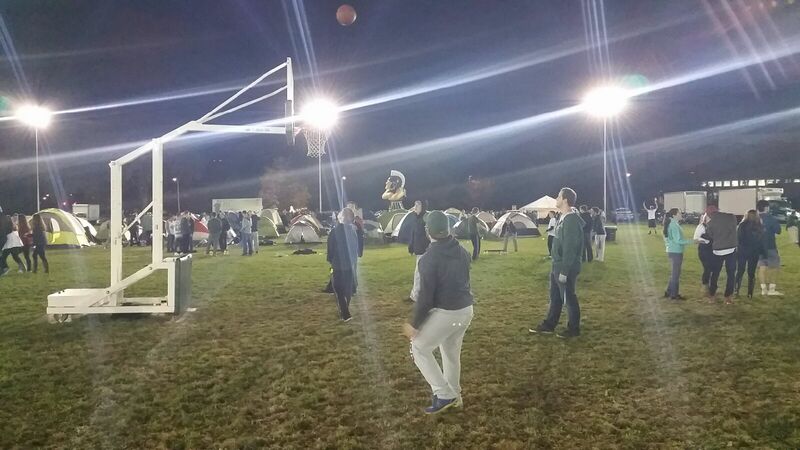 Students all over campus were excited for the Izzone Campout. Coach Izzo, the basketball team, and even Sparty came and made an appearance. This year, over 600 tents were in place, and students were out enjoying the night scenery, while hanging out with friends and enjoying various events such as basketball, grilling, games and listening to music play in the background. Students play basketball on the field. 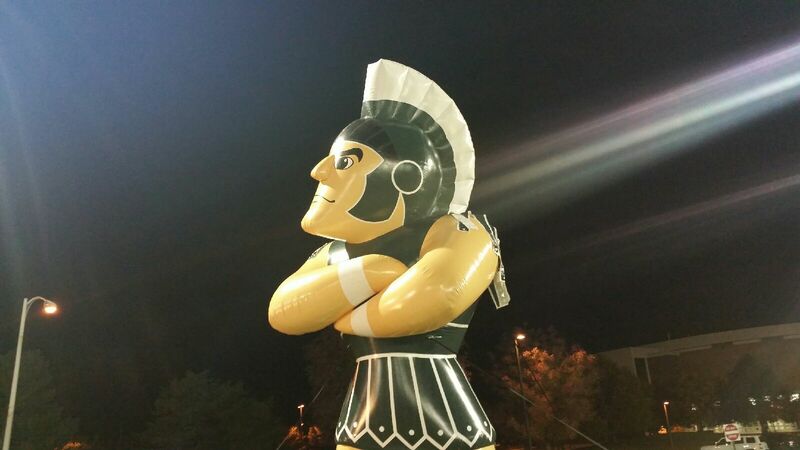 The Izzone Campout is an event for students to campout in Munn Field, across from the Breslin Center, to receive their tickets for the 2015-2016 basketball season. Michigan State student Joey Adams had a lot to say about the campout as far as his expectations, prior experience, and favorite parts of the campout. “Expectations before I get to the campout? A lot of rowdy students who are not afraid to start mob mentality riots, come march or late February during the big ten tournament ,leading up to hopefully that early April ruling in the playoff and once we get there , you’re going to be seeing a lot of articles written from Cedar Village”, Adams said. Overall, the campout was an exciting way for students to get this season’s tickets. It’s a tradition that many MSU students and alumni value, and we’re excited to see how next year will turn out.